The following information was taken directly from BEAUTYLISH’S website and will probably answer a lot of questions you might have regarding this palette. My review will start after the next photo. 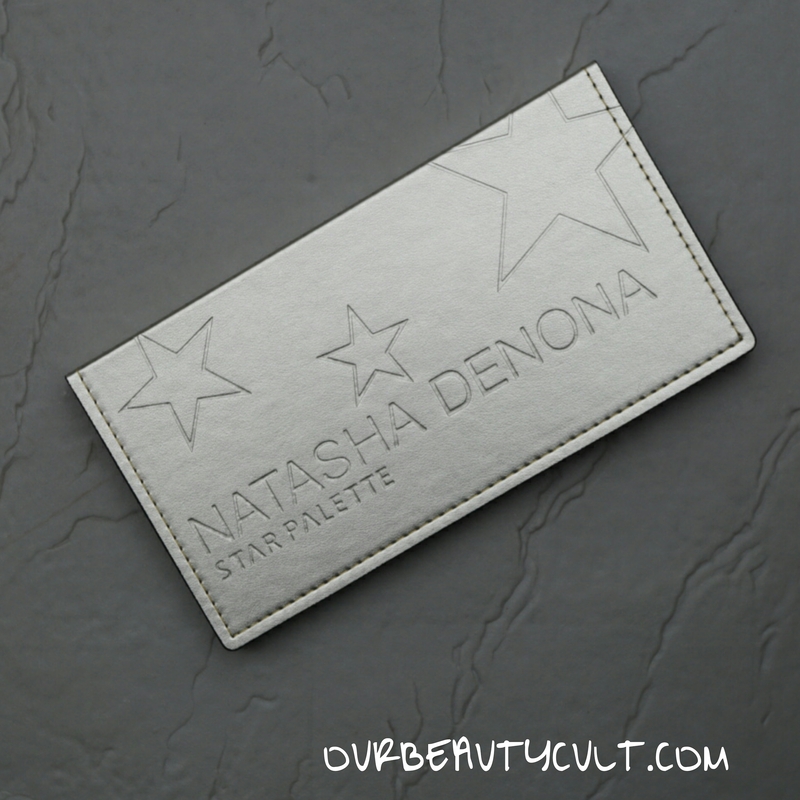 A renowned makeup artist with over 30 years of experience, Natasha Denona designed the Star Palette to make it easy to create professional-quality eye looks—no matter if you’re a makeup master or a complete beginner. With its foolproof format and wearable selection of shades, the Star Palette puts the secrets of a pro artist into everyone’s hands. When it comes to your eye makeup, shouldn’t you always reach for the stars? Inspired by the stars in the night sky, Natasha Denona’s holiday palette features 18 never-before-seen eye shadows in an easy-to-follow format that takes the guesswork out of creating out-of-this-world looks. Easy on the eyes. And wallet.Pay with Flexible Payments and get your palette for three monthly payments of $56.33. 1. Instant approval. No credit check required! Just choose Pay with 3 Flexible Payments when you check out. 2. No interest or fees. The total cost of your order is split into three payments at checkout. 3. No waiting. We’ll ship your order as soon as your first payment is processed. Available for customers in the U.S., U.K., Canada, Australia, and New Zealand only. 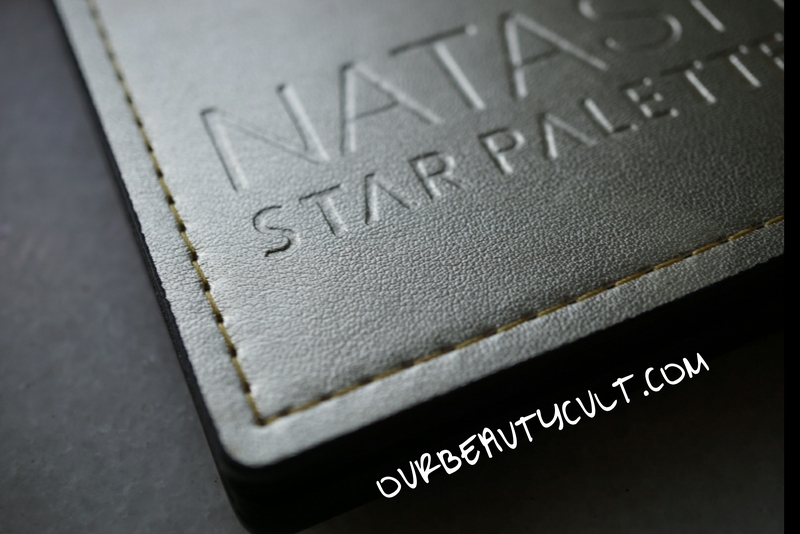 Natasha Star Palette FAQ QuestionsWhere is the Star Palette made? The Star Palette is made in Italy from the highest quality pigments. Are these shades exclusive to the Star Palette? Yes. 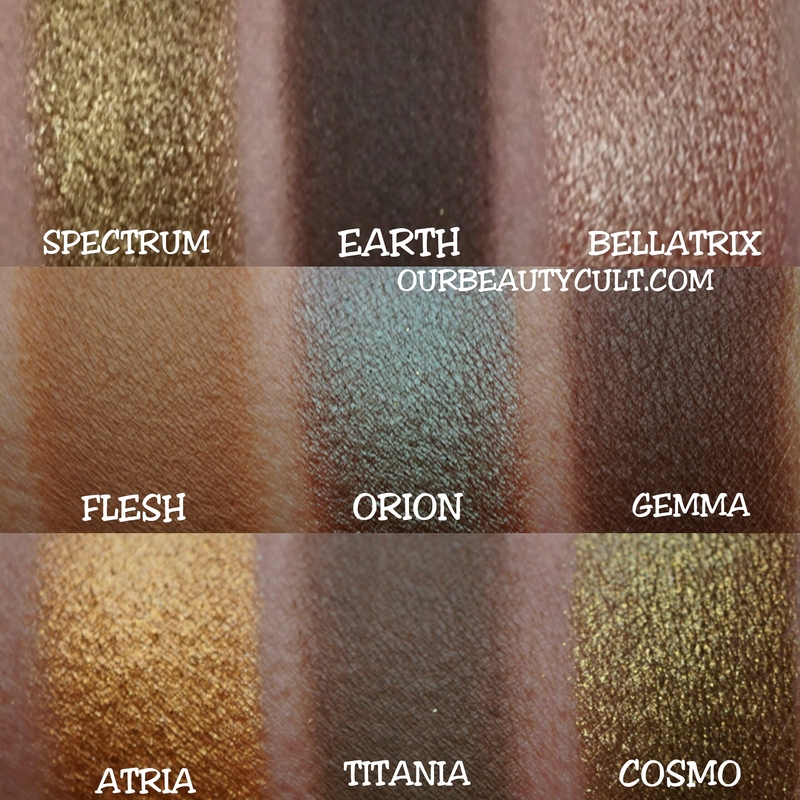 The Star Palette has 18 new shades that are not available anywhere else. Is the Star Palette limited edition? This is a special holiday release but not limited edition. The name suggests a lot of glimmer and shimmer. Are matte shades included as well? Half of the shades in the Star Palette are matte with a new Creamy Matte formula that is extremely blendable and long-lasting. How is the new matte formula different from the original? The new Creamy Matte shades have been reformulated for easier blending. They are creamier and softer in texture but still provide intense, long-wearing pigmentation. What makes the new Crystal shades special? These shades feature a new Crystal finish, which is infused with finely milled pearls and innovative chroma-crystals for brilliant, reflective sparkle. How should I apply the Crystal shades? Due to the intensity of the chroma-crystals, we suggest pressing them onto a primed lid with your finger or packing them on with a flat brush using glitter glue as a base. 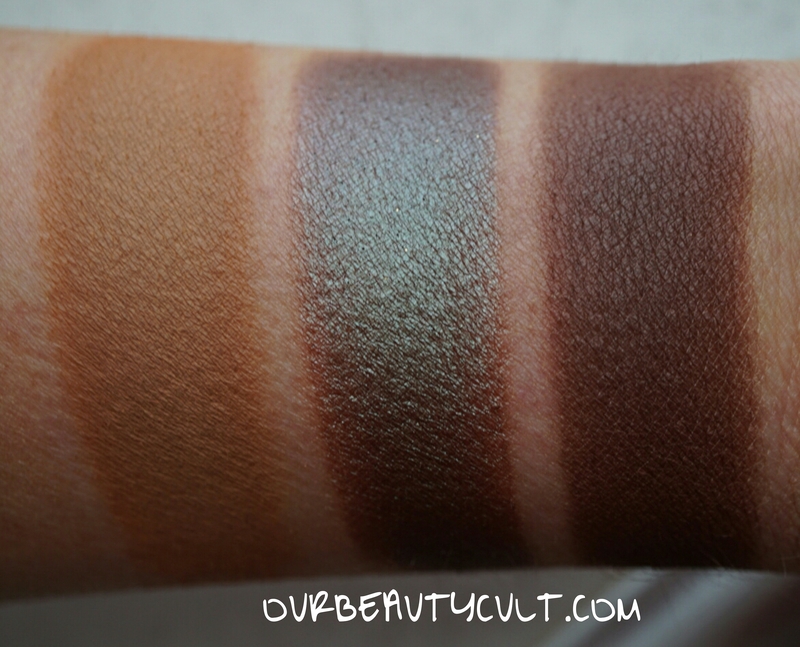 Which shades are best as transition shades? 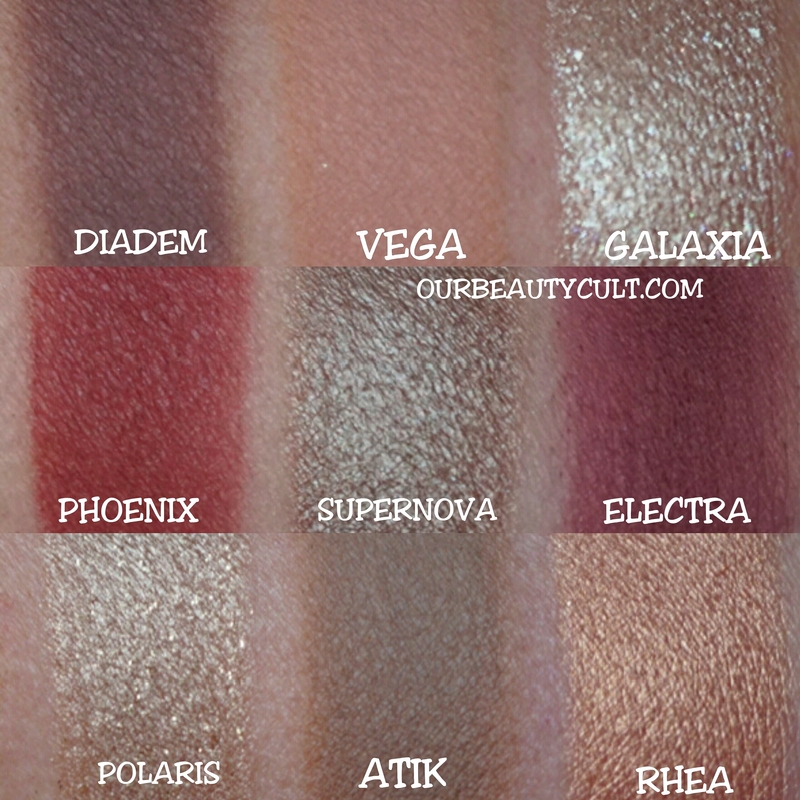 Some of the most popular transition shades include Flesh, Diadem, Vega, and Atik. These are perfect for blending. How many looks can I create with the palette? Each vertical, horizontal, and diagonal row of three shades can be combined to create a unique look. That’s the secret of the Three-Shadow Sequence. 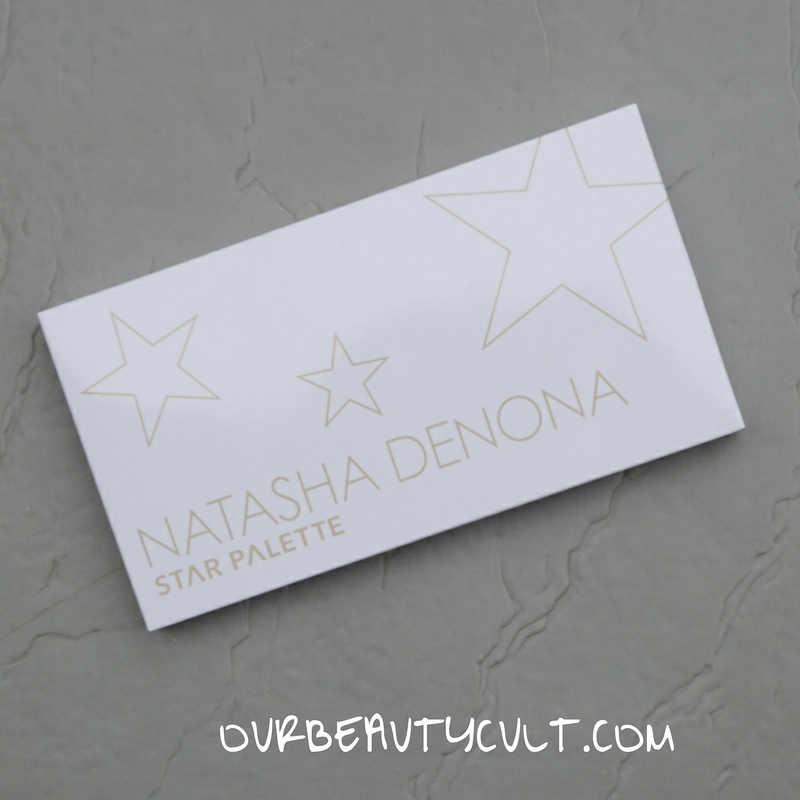 Why do Natasha Denona palettes cost more than other palettes on the market? Luxurious ingredients, intense pigmentation, and a significant amount of product make Natasha’s eye shadows an outstanding value. 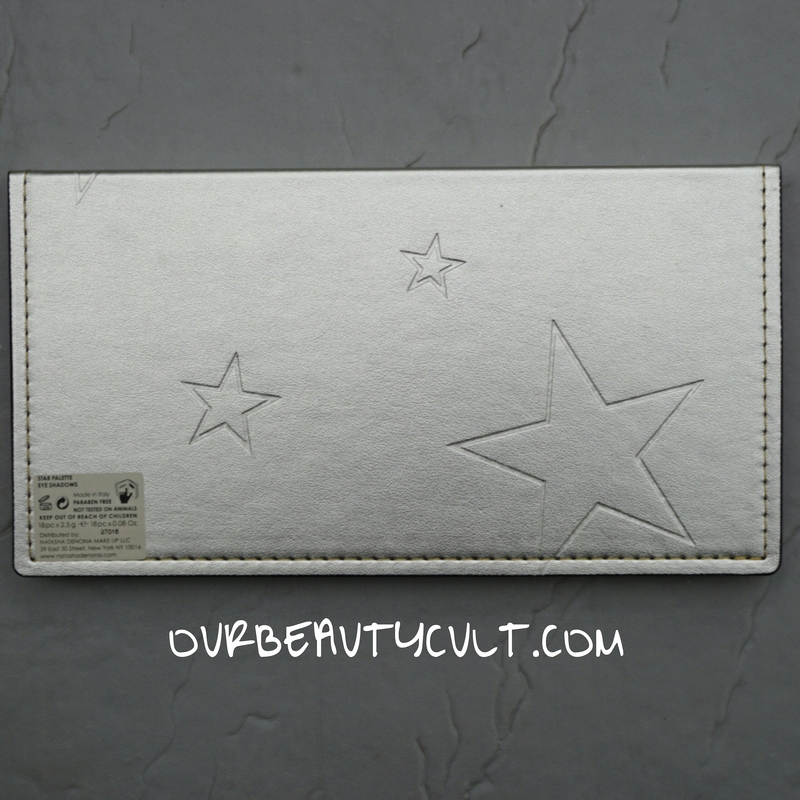 The Star Palette also comes packaged in a beautiful, sturdy palette that’s ideal for travel. 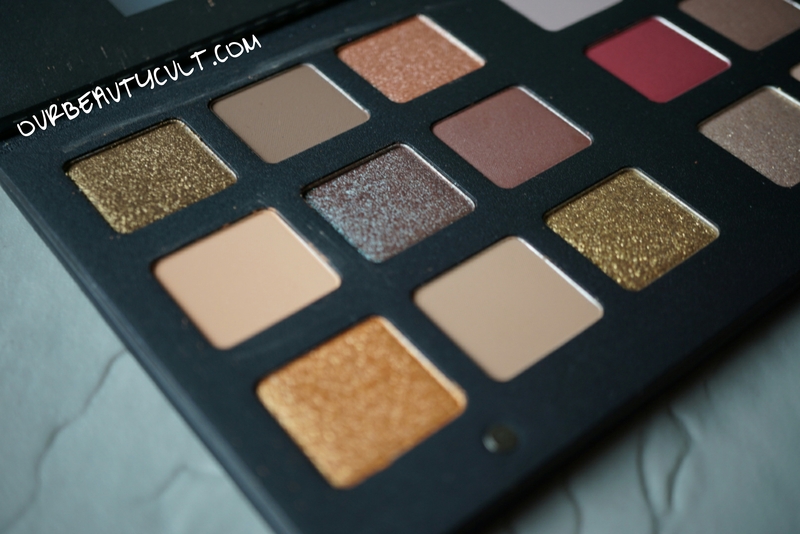 What makes this palette different from others on the market? 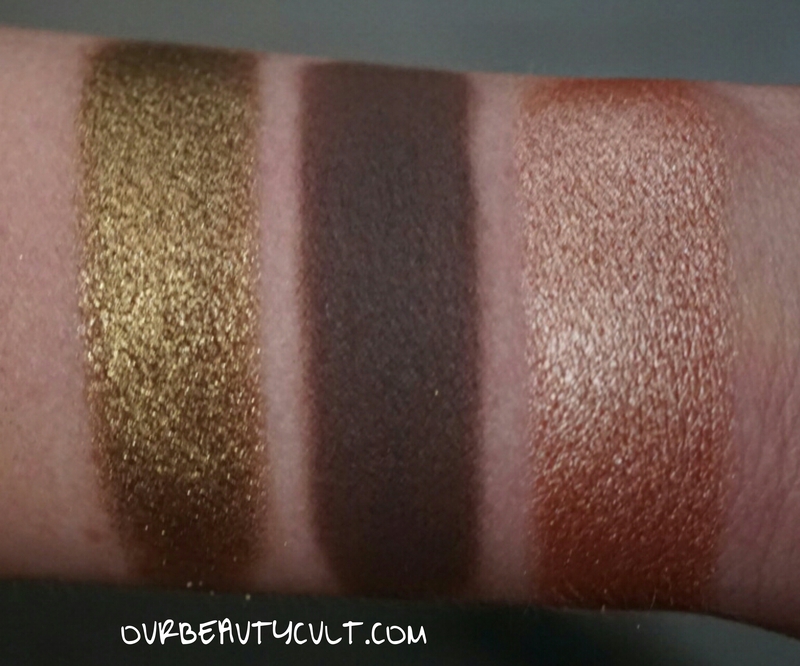 The Star Palette is uniquely designed with both warm and cool tones, which means it works with any hair color, undertone, or skin tone. The shadows in the palette also offer the highest level of blendability, color payoff, and long-lasting wear. 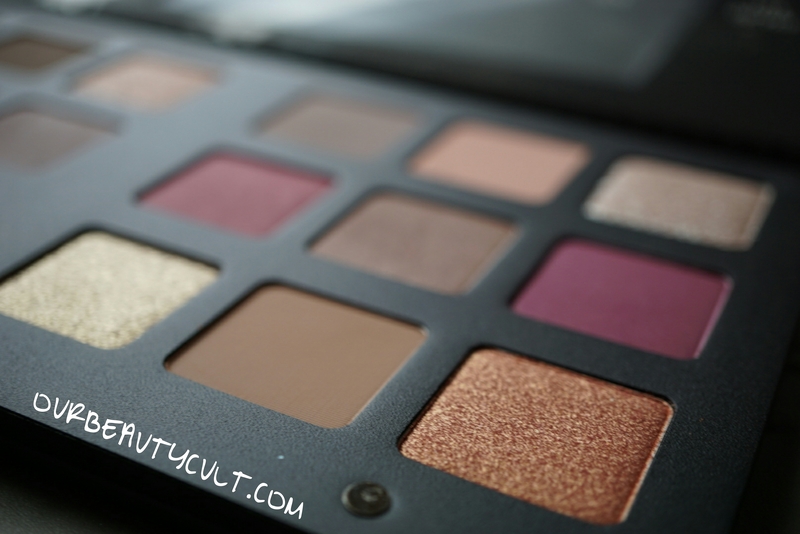 What is the biggest difference between this palette and Natasha Denona’s other palettes, such as the Eyeshadow Palette 28? The Star Palette contains the new Creamy Matte and Crystal shadows, plus the unique Three-Shadow Sequence format that makes it easy to designing eye looks for any occasion. 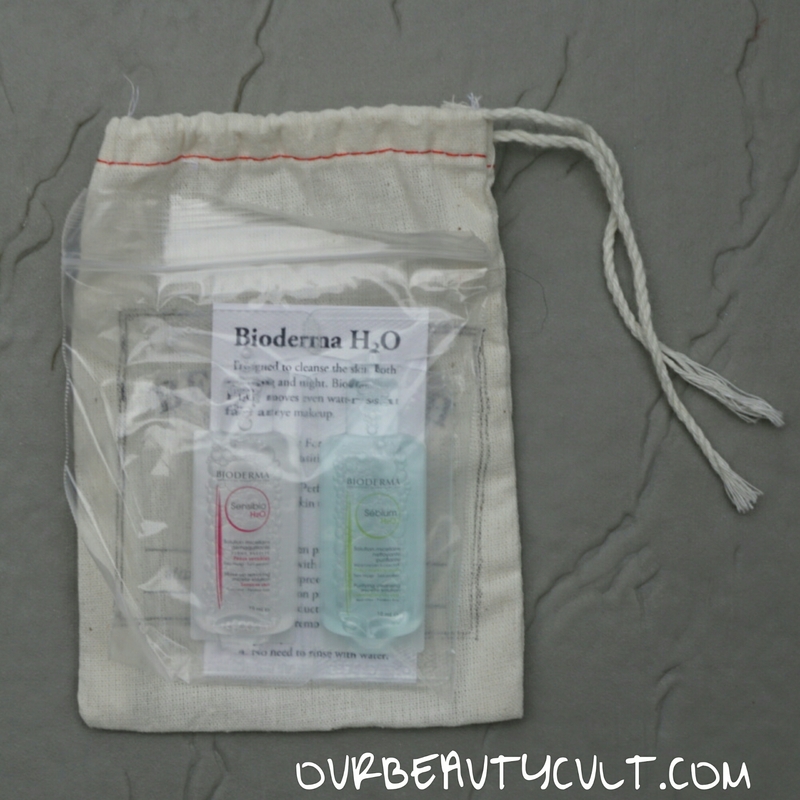 They also included these Bioderma samples. 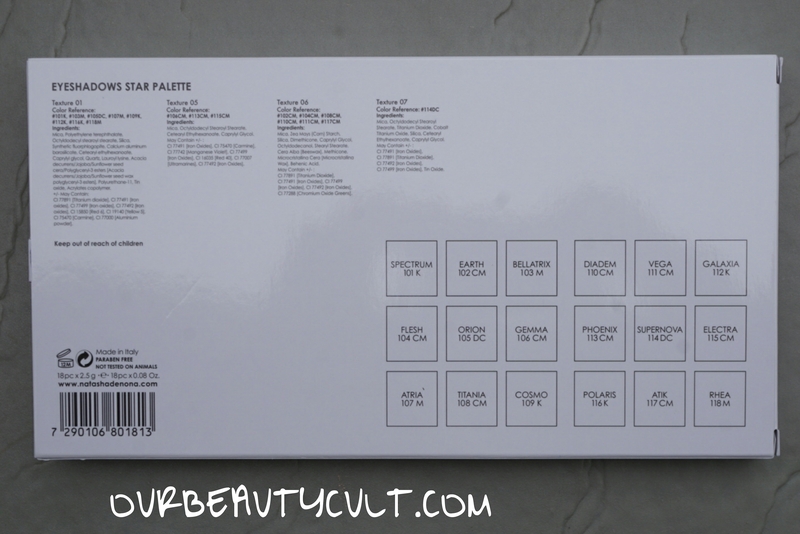 This is the front and back of the box that the palette comes in. And the front and back of the actual palette. Close up of the stitching and embossing. And a close up of the pans. There’s a plastic insert with the names of the shadows that you can tear out if you’d like. And of course a large mirror. So the packaging is phenomenal. As well it should be for the price tag. Now let’s get in to the important part… the shadows. SPECTRUM (crystal finish, deep antique gold)- SPECTRUM is one of the best when it comes to this ‘crystal’ finish. It’s very soft (all the crystals and metallics are quite soft) but it’s adheres very well to bare skin with minimal fallout. 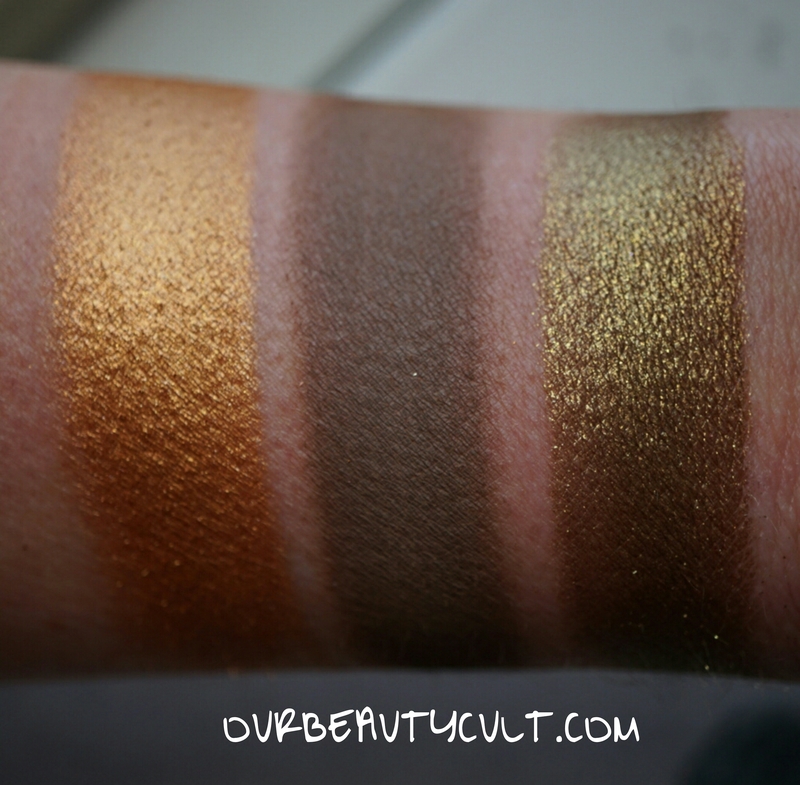 And the pigmentation is ridiculous. EARTH (creamy matte, deep chocolate brown)- this a great dark brown. It’s a creamy matte as the name suggests and it applies like butter. No skipping, no patchy-ness. It’s long wearing and one of the best dark matte browns that I’ve ever used. BELLATRIX (metallic, rose gold)- this one is also quite soft. Word to the wise, use very gentle pressure when using these shadows. If you press too hard you’ll leave an indentation in the pan and pick up entirely too much product. 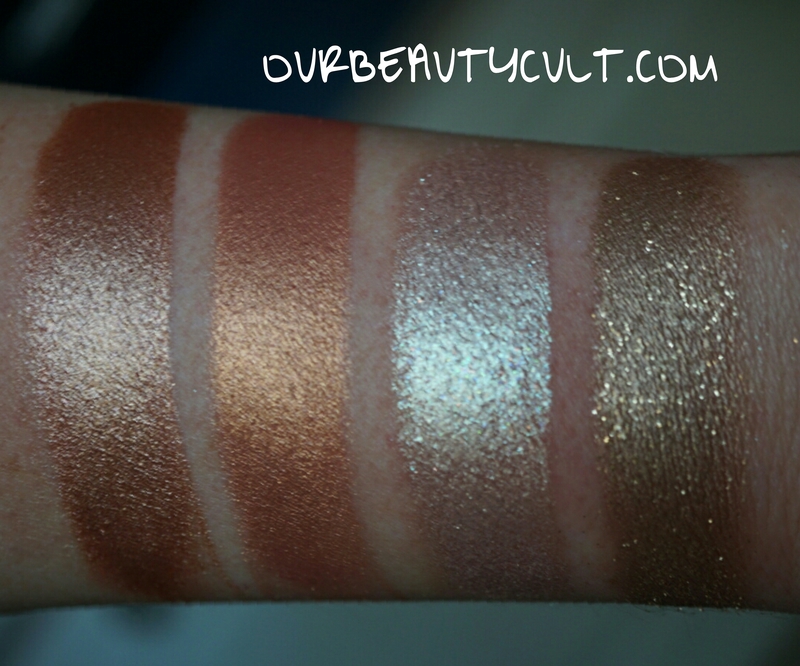 This is a gorgeous rose gold with phenomenal pigmentation. However I probably already own at least 5 incredible rose golds. FLESH (creamy matte, warm peach)- on me this is more of a light caramel than a peach. It’s a fabulous transition color and builds really nicely. That’s something that I really like about these mattes. They are highly pigmented but if you use a fluffy brush and a light hand, you’ll get a sheer wash of color and from there you can easily build the intensity. Again not an especially unique color but quality mattes should never be underestimated. ORION (duochrome, deep blue brown)- what sets this apart from the legions of blue browns is the slight purple shift that it has. 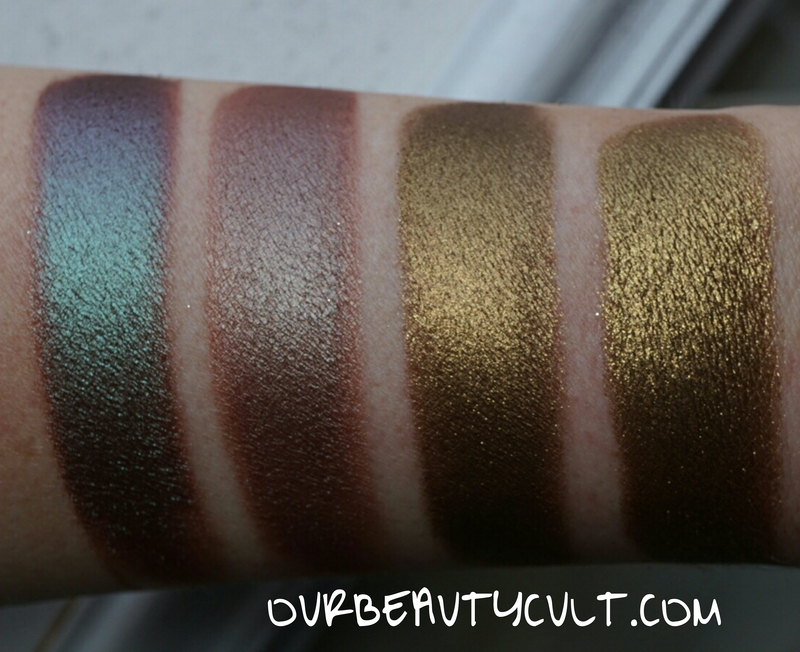 I’ve included a bunch of pics further down that showcase the duochrome shift. Although it is different from MAC BLUE BROWN, MUG INSOMNIA etc, I’m pretty sure that INGLOT 85 PIGMENT is a good dupe. GEMMA (creamy matte, mahogany brown)- It’s a dark reddish brown. The finish is more like a satin than a matte, IMO. Again great color pay off and very user friendly but another color that we’ve seen before. ATRIA (metallic, orange copper)- another fab metallic. Same incredible pigmentation and it stays on the skin even without primer. But once again it’s easily duped as far as color (the formula is unique). TITANIA (creamy matte, taupe brown)- in keeping with the theme, another excellent matte. Very creamy and extremely long wearing. I’ve been playing with these shadows for the last two days and I’m super impressed with their staying power. These mattes don’t fade at all. COSMO (crystal, vintage brass)- so now we’re getting into some issues with the palette… this color is almost EXACTLY the same as SPECTRUM. I’ve included a side by side comparison further down, they’re damn near identical. I’m perplexed as to why they’d include two colors that are so alike. Also this one is a bit more messy than SPECTRUM. I’d recommend using it wet or with a glitter adhesive to prevent fallout. DIADEM (creamy matte, warm taupe grey)- DIADEM pulls very mauve on my skin, which I love. As I’ve already mentioned, these mattes build really nicely. 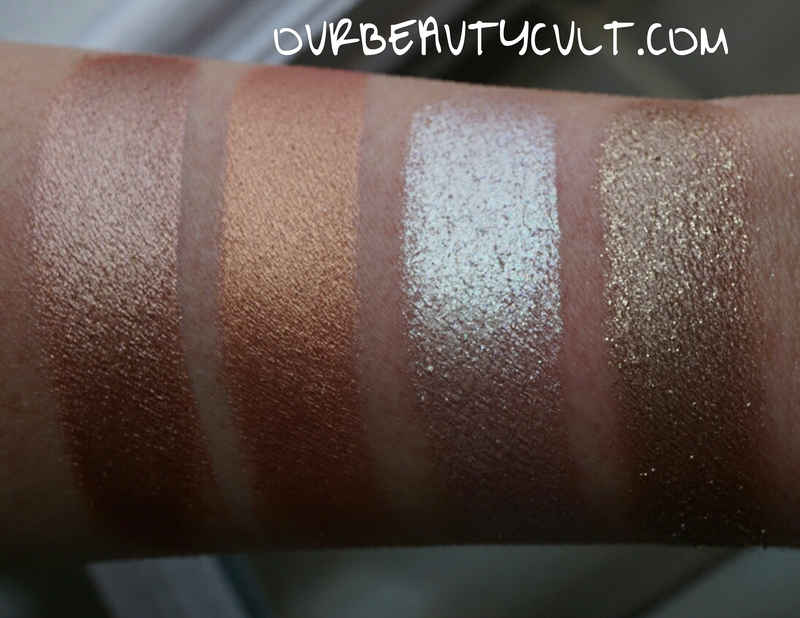 One light layer will give you a sheer wash of color, a second light layer will give you some depth, a third light layer will give you opaque, true to pan color. 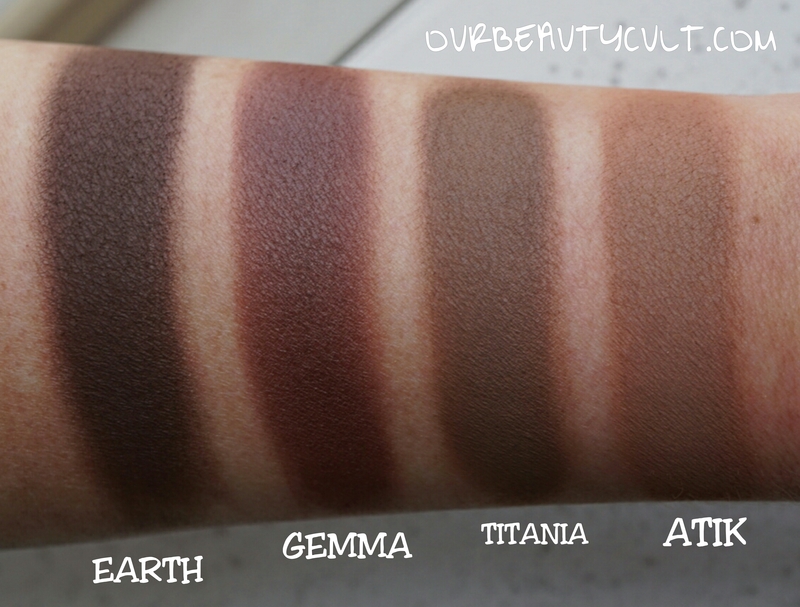 Now’s a good time to add that these swatches are done on bare but well moisturized skin. 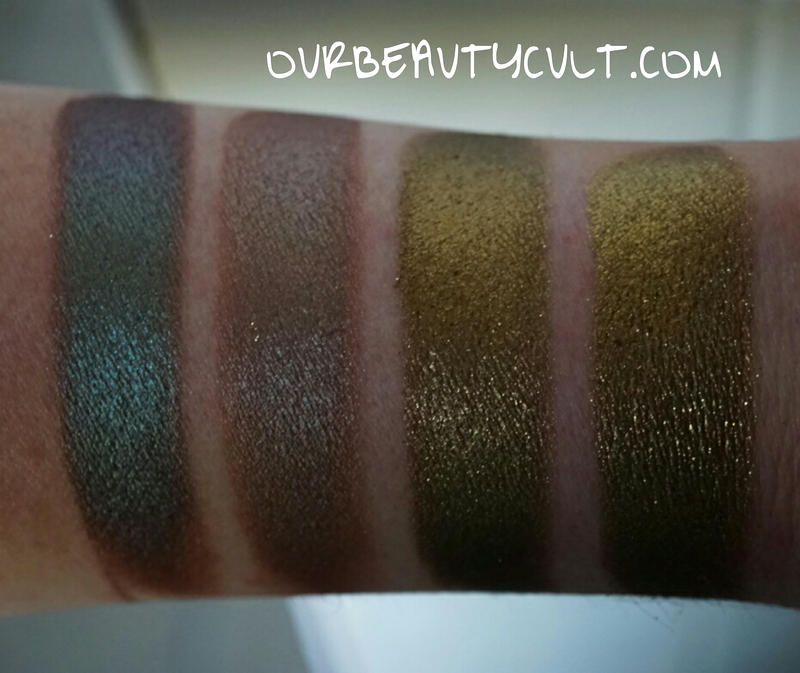 The mattes were swatched with regular flat eyeshadow brushes, a variety of different ones because I don’t wash them until I’m done with swatches (actually I’m going to include a pic of my swatching brushes at the end of this post). I’m going to call them 1.5 layers. I did all the swatches, then I cleaned up with a q-tip and I went in and straighten them up. Not going over the whole swatch again but making sure that the edges were straight and even. There were 3 exceptions that I’ll mention when we get to them. 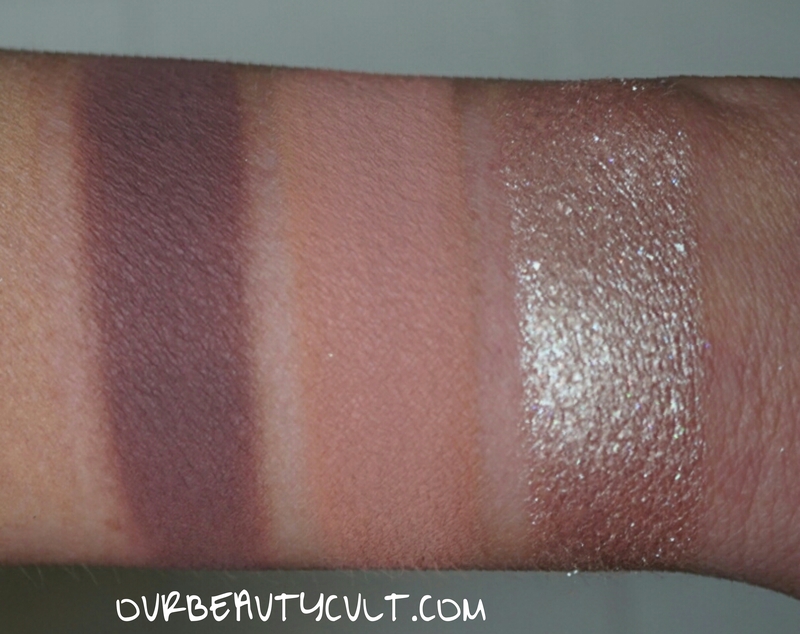 This is not to say that I only dipped into the pan one time per swatch. When I do swatches I don’t swipe, I pat. And I do very large swatches. So although I dipped into the pan several times for most of these swatches, I didn’t layer them (except for one that you’ll read about later). You know what… let’s save this for another post. I swear I’ve got undiagnosed adult ADD. 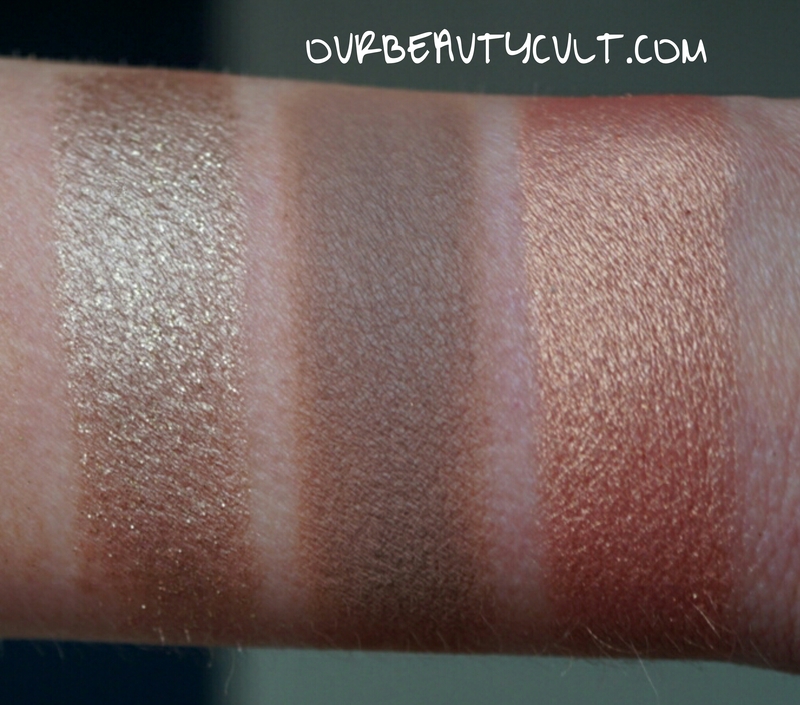 VEGA (creamy matte, soft tea rose)- another beautiful transition color (or highlight if you’re darker than me). It’s a beautiful peachy pink with sheer but buildable color payoff. GALAXIA (crystal, sheer icy white)- this is one of those exceptions that I talked about earlier. I swatched this one wet because when I tried to do it dry it was getting glitter all over the other swatches. This color is complex and stunning (more swatches further down). It’s basically a pressed crystal glitter but it also has some hints of blue and green. However you can’t use it on bare skin unless you don’t mind glitter all over your face. Now for me, I’ve got no problem with having to use a glitter adhesive. Inglot pigments are basically my favorite thing ever and you’ve got use an adhesive with most of those. But I know a lot of people will be turned off by this. Also when using this color, you need to be extremely gentle when blending after its been applied or you’ll make a big ol’ glitter mess. PHOENIX (creamy matte, brick red)- this one was a bit of disappointment. I had high hopes for this color and while it’s beautiful, the pigmentation is lacking in comparison to the other mattes. 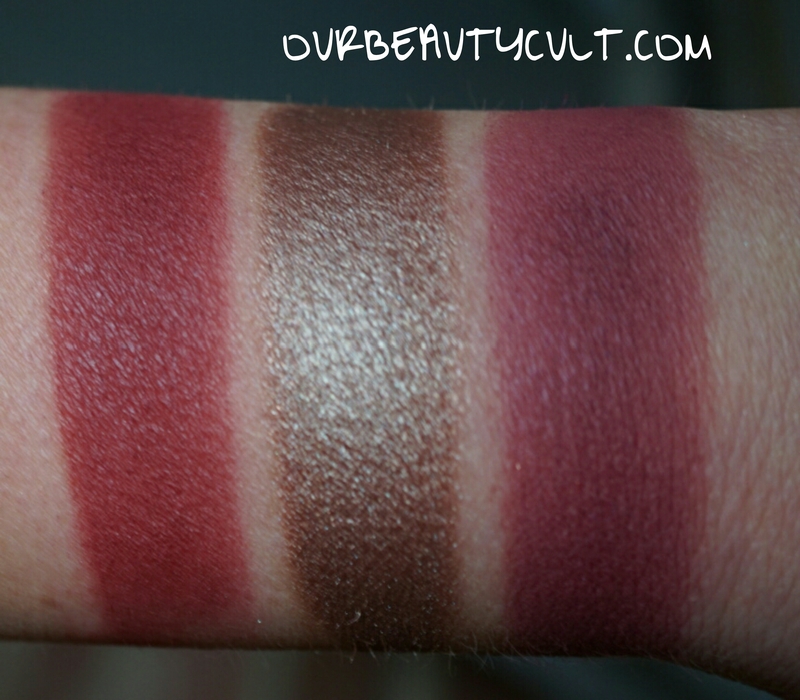 ELECTRA (creamy matte, deep plum)- so basically this whole row was a let down for me. This was another color that really sold me on buying the palette. And although the color is gorgeous, the pigmentation doesn’t impress me. In order to get the level of color saturation seen in the photo, I had to layer it three times (this is the guy I was foreshadowing about earlier). If this were a $50 palette, it would be no big deal but since it’s $170 palette, I expect to be impressed with every single color. It applies okay on the eyes but you’ve got to do a lot of layers to get intense color payoff. 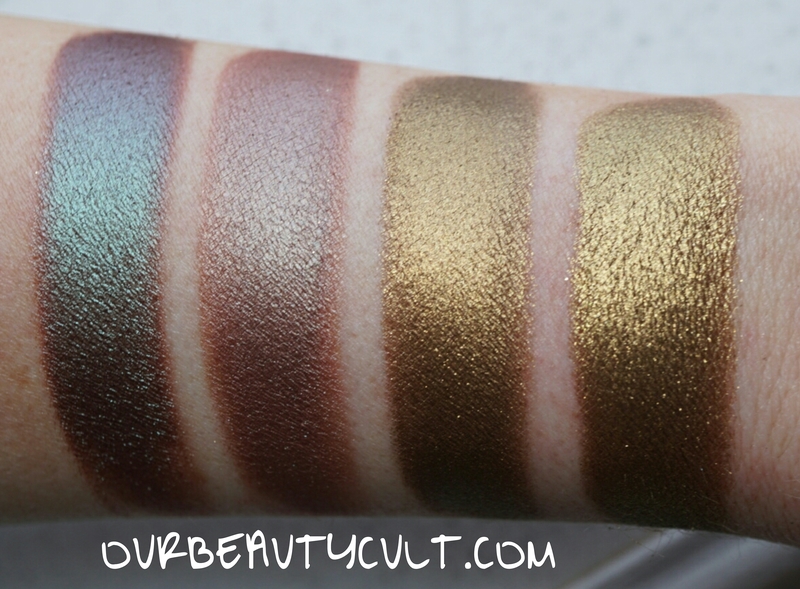 POLARIS (crystal, white gold)- I also swatched this one wet for the same reason as with GALAXIA, glitter fall out. POLARIS has a metallic champagne base with tons of gold glitter. The base adheres well but the glitter does not. This is another shade that requires a setting mist and very gentle blending. ATIK (creamy matte, sandy beige)- ATIK is another excellent matte. Outstanding texture and pigmentation. No complaints about this dude. RHEA (metallic, peach gold)- Last shade! And she’s a gem! I actually thought that this was the 2nd duochrome. 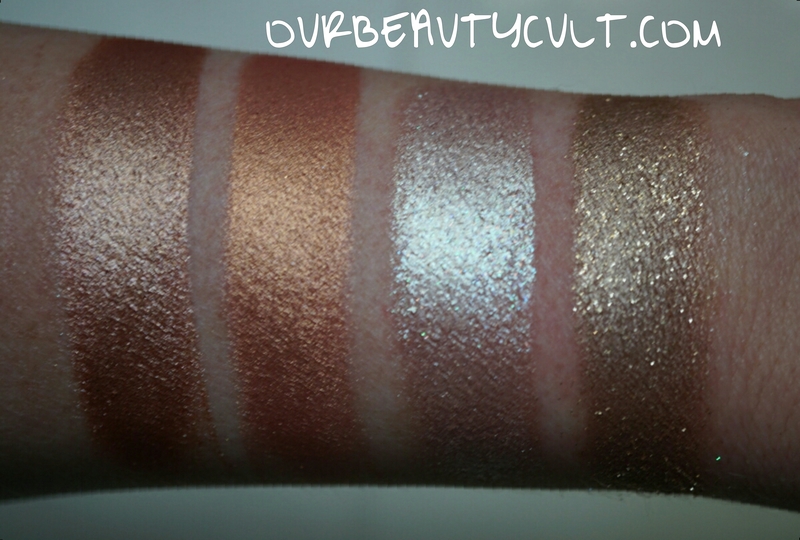 The base color is equal parts peach, orange and pink with gold shimmer. As with all the ND metallic shadows, the formula is heavenly. 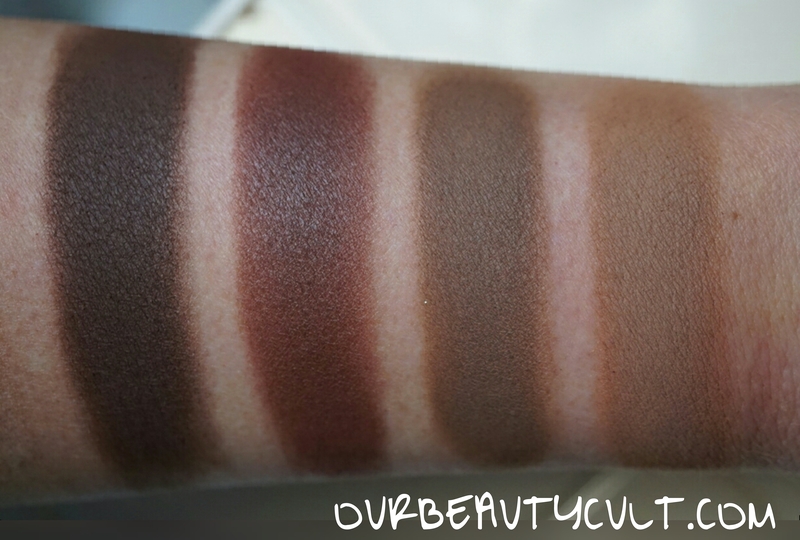 Here’s a better look at how the four matte browns compare to one another. 1st pair: BELLATRIX and RHEA- these two appear somewhat similar in the pans but as you can see, they’re quite different. 2nd pair: GALAXIA and POLARIS- these shades require a little extra work because without a glitter glue or setting spray you’ll get serious fallout. But they’re worth the effort, IMO. 1st pair: ORION and SUPERNOVA- the two duochromes from the palette. You can see all the dimension of ORION in the various photos but to me SUPERNOVA looks the same. What do you guys think? 2nd pair: SPECTRUM and COSMO- SPECTRUM is a teeny bit darker and although you can’t tell this from the photos, it’s also easier to work with than COSMO but these colors are 95% dupes. 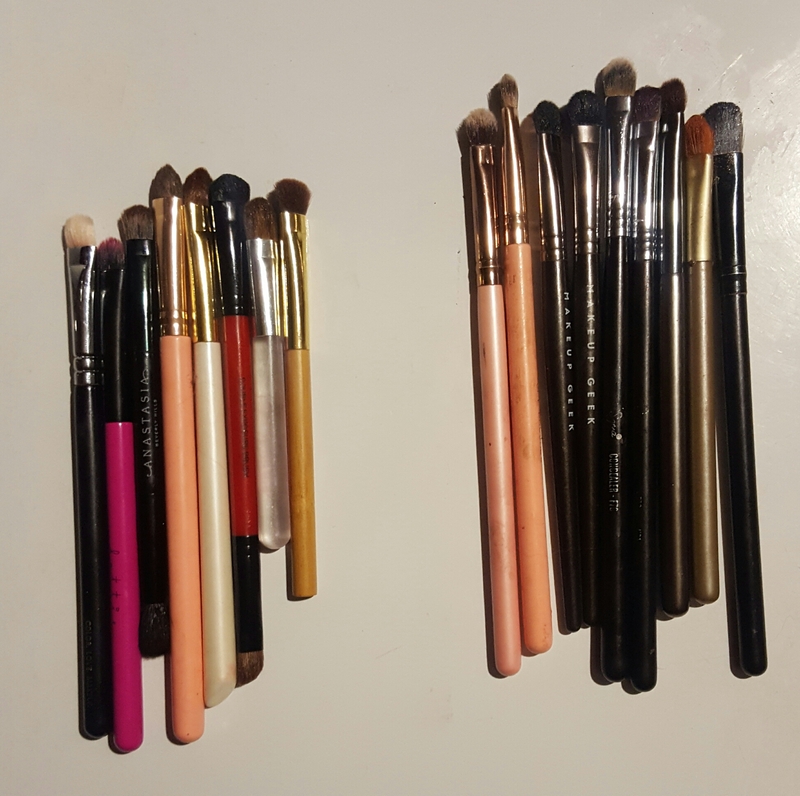 And finally my main swatching brushes! The 1st half are what I use for mattes. It’s a random hodgepodge of brushes, many of which were included in palettes. The 2nd half is what I use for shimmers. There’s two Makeup Geek foiled shadow brushes, my holy grail for swatches and an assortment of mostly concealer brushes. I love this palette. 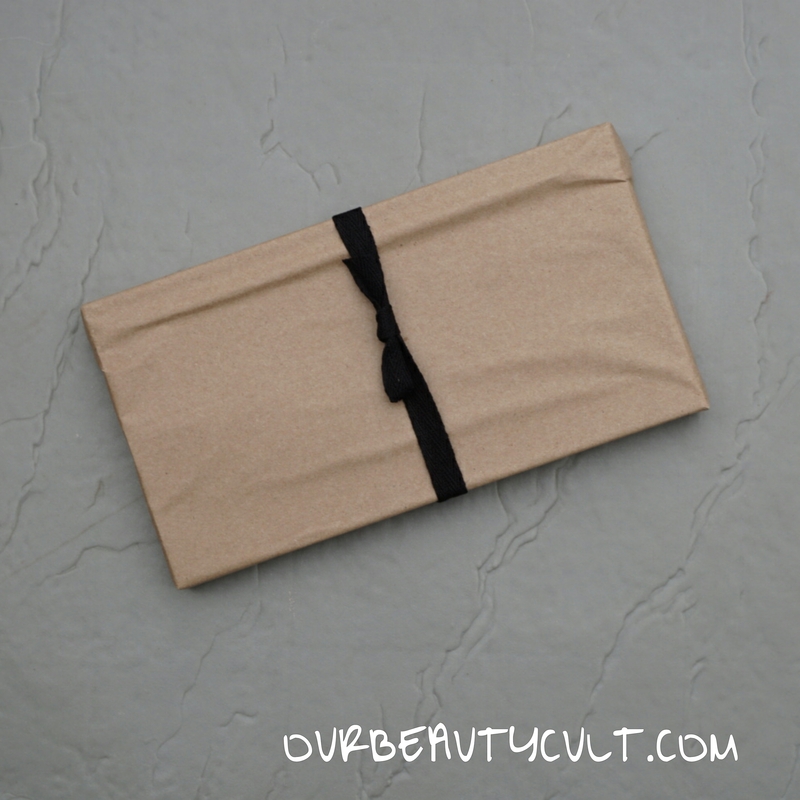 It has the best packaging out of any palette that I own, both aesthetically and practically speaking. I’m disappointed in the performance of the two matte reds but overly I think the new matte formula is dramatic improvement over the old matte formula, which I found to be the weak point the other ND palettes that I own. Besides the reds, the matte formula is fantastic and extremely long wearing. All of the metallics are phenomenal, basically unparalleled in quality and performance. Although the crystal finish shadows require some extra work, their effect is dramatic and unique. Also when you consider the amount of product that you’re getting, 18 shadows × .08oz each (1.44oz) the price point is comparable to most other eyeshadows on the market. For example, MAC single shadows are.05oz. So it would take 29 MAC shadows to equal the amount of product found in the Star Palette. 29 shadows × $6 each = $175. Just put that into perspective for you. Now the negatives… for the most part this palette is dupeable at least as far as colors. And I’m disappointed in the similarities of SPECTRUM and COSMO and also in the performance of ELECTRA and PHOENIX. Although I personally love this palette, I would NEVER tell you that you need a $170 palette. You don’t need it. No one does. My recommendation is that you read my review and think about how the things that I mentioned apply to you (for example, do you mind using a glitter glue?). Also check out other reviews so that you can get second and third opinions. If you decide that it’s worth the investment for you, BEAUTYLISH starts their gift card event today. For every $100 that you spend, you’ll get a $20 gift card, so if you get the palette and spend $31 more dollars, you’ll get a $40 gift card. They also offer the flexible payment plan outlined at the very beginning of the post. And SEPHORA starts their 20% off sale either at the end of this week or later next week depending on your Beauty Insider status. And that officially wraps up my review! I spent more time on this than I did on most term papers in college and if you actually read the whole thing, you deserve a congressional metal of honor! Yes!!! I’m ready for my medal!!! Hahaha. Amazing review Angela!!!! I have this palette in a box from sephora just waiting to be opened! (I got 20% off from an employee discount last week!) I still wanted to read your thorough review before diving in! Fantastic pics too btw! I’m really disappointed by the dupe shades and the mediocre reds but oh well I guess!